Ando: At first I thought to the extent “let’s create a strategy game”. I like strategy games and Atlus’ games, so it’d be excellent to be able to create a strategy game with a world made by Atlus. I thought that Atlus’ characters have perfect personalities and roles that also suit Fire Emblem, so they are nicely compatible. Yamagami: The first proposal was “Shin Megami Tensei x Fire Emblem”, but I thought it would probably be for the best to give Atlus freedom in handling the game. It is just a little less than three years ago when we started with the proposal “it is necessary to have elements that combine Fire Emblem to some extent, but other than that let’s be flexible and try various things”. ND: What kind of game did Atlus come up with at first? 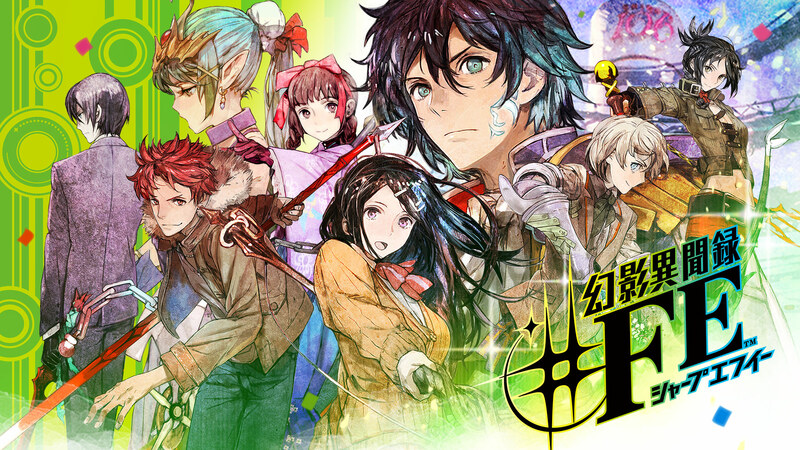 Hirata: At first we thought about a grid-based game that’s similar to Fire Emblem. Yamagami: We discussed how strategy elements could be put in battles, but on the other hand I told Atlus several times to be bolder, so they were having a bit of a trouble. ND: When talking about Fire Emblem, strategy comes to mind for sure. Kaori: Things like Tower Defense. Yano: We also had a discussion about whether to do it for Wii U or Nintendo 3DS. We even wrote a project plan for 3DS version once. Takata: I realized the request was “What kind of Fire Emblem would Atlus make?” and our specialty is RPGs, so wouldn’t it be nice to make one? However, I wondered if it would be alright when I asked about it. Yamagami: When I received the suggestion for an RPG, I thought, “Ah, it was strange to ask a team that is known for RPGs to make a strategy game.” Having seen the long trial and error up until that, I thought it would probably be good to utilize their strong genre. Actually, Nakamura-san from Intelligent Systems (makers of Fire Emblem) said this when we were having problems, “If you’re going to take the trouble, please create something Atlus-like that we can’t do or even imagine.” Those words gave a push to make the resolution. Hirata: We believed Fire Emblem and RPG battles could be fused together if only the weapon triangle and class characteristics were included, so we finished it into the form it’s now. ND: Lastly, please leave a message to the readers. Yamagami: I think there are many Fire Emblem fans among the readers of Nintendo Dream, so even though there is interest in this game, many people may feel uneasy as well. Although your favorite performers act in surprising roles, it feels familiar. But because we do new things, the world also becomes bigger. To tell you the truth, when Intelligent Systems saw this title for the first time, they were also anxious like, “This is strangely similar…”, but when we got past that phase and it turned into a completely new thing, they said, “This is really interesting because we couldn’t possibly do this ourselves”. And then we cooperated on supervising the Fire Emblem elements, selecting voice actors and deciding the acting direction. You can enjoy the setting, elements and systems in itself instead of them being in the Fire Emblem world. If you are able to enjoy it as a new system that is different from the main Fire Emblem series, it should exceed your expectations.